The history of the Sri Lanka Army began during the period of British rule. In the late 18th century, the British formed the first regular native regiment in Ceylon. The oldest surviving regiment in the Sri Lanka Army, the Sri Lanka Light Infantry, was created in 1881. 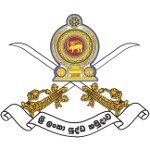 The Ceylon Defense Force was officially formed in 1910. The Sri Lanka Army in its modern form was created on October 10, 1949, following the independence of Ceylon from the United Kingdom. It received its current name in 1972, when Ceylon became a republic and was renamed Sri Lanka. The army originally consisted of a regular and a volunteer force. Currently, the Sri Lanka Army has about 200,000 regular personnel, 18,000 members of the National Guard, and between 20,000–40,000 reserve personnel. Although Sri Lanka Army Day is not a public holiday, it is celebrated every year with military parades, official ceremonies, and other relevant events and activities. Other service branches of the Sri Lanka Armed Forces also celebrate their own holidays: Navy Day is observed on December 9 and Air Force Day falls on March 2.